PLEASE NOTE NEW LOCATION! Please wait in the foyer of the library and an ELTAS committee member will take you to the room. This is an all day workshop. Spaces are in high demand, so we would prefer our members to attend both sessions, this will also give us to network during the lunch break. Most of our teaching skills relate almost exclusively to working with groups. So what can usefully be carried over from group teaching and what can’t? In this interactive workshop, we will look at moving from language teacher to language coach in a one to one situation. In addition, we will look at the advantages and potential pitfalls of the client/coach (student/teacher) relationship as well as what coaching is and is not. There will be plenty of time for questions and discussion. Lunch break from 1pm to 3pm – Members will have to opportunity to network, shop or go to lunch together at restaurant in Milaneo. The supplementary activities are designed to be fun and encourage your learners to speak. They cover a number of topics within the business English field, can be used with different levels, either on their own or to accompany a course book. Come along to this interactive workshop to find out how to spice up your lessons and get your learners speaking and communicating. The activities will be taken from the new book by Express Publishing, Communicative Business English Activities. There will be a break during which you can view teaching materials by Express Publishing. A British national from London, Rebecca has lived and worked in many countries for over 30 years. She now works mainly as a personal language, communication and cross-cultural coach for top-management and multi-national teams. For the past 12 years she has worked as personal development coach for Germany’s most well-known management consultancy. She is also an EFL author and presenter. Rebecca has a B.Sc. in psychology and adult education, a B.A. in applied modern languages from the Sorbonne, Paris, and a Post Graduate Certificate in Coaching and Mentoring Practice from Oxford Brookes University. Totally tri-lingual – English, French and German – she combines academic and business achievements with pragmatic hands-on experience. Rebecca was on the ELTAS committee in the 90ies, BESIG chair for 3 years and spent several years on the EMCC Board (European Mentoring and Coaching Council). Marjorie Rosenberg taught for many years in the tertiary level in Graz, Austria. She now trains corporate clients and does teacher training. She has published materials for Business and General English and on methodology with Cambridge University Press, Cengage, Pearson, Delta Publishing, Wayzgoose Press, as well as for national publishers in Austria and Poland. 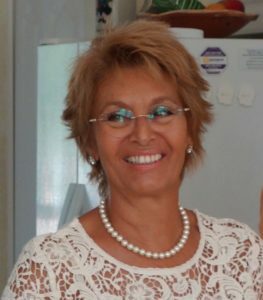 She was the IATEFL BESIG coordinator from November 2009 – February 2015 and the IATEFL President from April 2015 – April 2017.